At least 10 percent of women in the U.S. will have a hard time getting and staying pregnant, according to the Centers for Disease Control. Some sources indicate infertility is greatly under reported and as many as a quarter of women may face problems trying to conceive (TTC). But the stats don’t really matter when it’s you who’s having difficulty getting pregnant, do they? 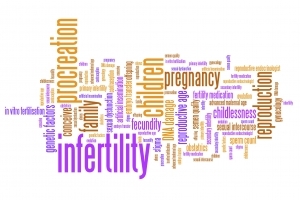 Instead of treating infertility, I like to look at it as enhancing fertility. I think of TTC as a spectrum. On one end is “severely challenged” — blocked or missing tubes, structural issues in the uterus or severe health issues — and on the other is “no problems at all” (sometimes known as “oops!”) Everyone falls somewhere on the continuum. 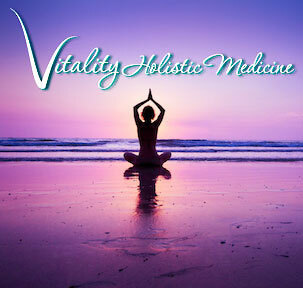 My job is to help you move along it toward ideal health and the ability to conceive. I use acupuncture and Chinese herbal formulas to regulate the menstrual cycle, correct hormonal imbalances, improve egg quality and uterine environment, reduce stress and boost your overall health. After an in-depth comprehensive history, I’ll create a personalized plan for you that involves weekly acupuncture and herbal medicine “prescriptions” and lifestyle suggestions. The herbs are formulated in extensively studied, safe, easy-to-take tinctures so you can bring them with you to work, on vacation, wherever you are. I also rely on basal body temperature (BBT) charting to formulate and verify my diagnosis, so committing to this via easy-to-use smartphone apps is very important. In short, I use time-tested techniques that are being studied in some of the most advanced clinics in the world, in combination with high-tech tools. Since a third to 40 percent of infertility is due to “male factor,” — i.e., problems with the sperm — I also treat men in my clinic with both acupuncture and Chinese herbs. It takes three to six months to improve the sperm picture in men. For the best results, you should give Chinese medicine at least three months and possibly upwards of six to create the ideal health environment and correct underlying problems before trying to conceive. ART can cost thousands —and tens of thousands — of dollars per monthly cycle. Sometimes, in those cases where there are insurmountable reasons causing infertility, that is the only chance a woman has of getting pregnant. But in those other cases, which is the majority of people who are TTC, there are other options. Using Chinese medicine involves an investment of about $100 per week for an acupuncture treatment and herbs. You’re looking at an investment of $1,500 to $3,000 for a three- to six-month period. Neither ART or Chinese medicine can guarantee you’ll get pregnant, but when you finish my program, you will be healthier. Your stress levels will be lower, you’ll be sleeping better, your digestion will improve — benefits you don’t get from ART. Can I use Chinese medicine with ART? Adding acupuncture and herbal medicine to ART well in advance improves success rates, sometimes doubling what patients typically see with ART alone. To avoid any potential interaction with the fertility drugs, I typically do not prescribe herbs during an IVF cycle (up to egg retrieval). You can do acupuncture throughout the cycle, though, and I highly encourage it, especially to treat the side effects of the drugs and the inherent stress involved with the process. If you’re going to use ART, I highly recommend starting your Chinese medicine treatments three to six months before your first ART cycle. Regulating your menstrual cycle and addressing other underlying issues will increase your success rate (and you may find yourself pregnant before you’re set to start with ART). Research has shown that adding acupuncture immediately before and after implantation (for IVF) improves pregnancy rates but we see even greater success with longer treatment to truly address the root of your fertility challenges and improve your overall health.